We are providing the Hydraulic Power Pack to our clients. 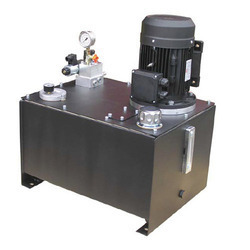 With the prior support of professionals, we are providing highly effective Hydraulic Power Pack. Our range finds industrial applications like actuation, rotation, clamping, and lifting in different industries. Also, maintenance free, longer working life and impeccable performance are some of the features of our hydraulic power pack.